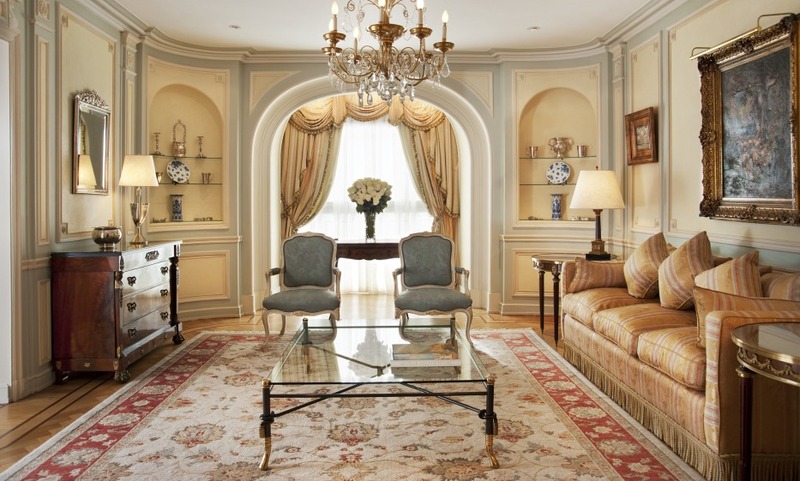 'Regal’ is the word on everyone’s lips when they arrive at Alvear Palace. Nestled in the heart of the city’s most elegant neighborhood, Recoleta, Buenos Aires’ cultural and historical hotspots lie nearby. But you’ll never forget that you’re residing in one yourself. Built in 1932, the Alvear Palace was the first luxury accommodation in the whole of Argentina, destined for European travelers and diplomats. Alvear Palace’s recent refurbishing has sublimated the hotel’s old-world glamour, with modern, French style design nods. The Rooms are finest examples of Belle Époque charm the city has to offer - Louis XVI style interiors, original paintings and Empire-style furniture - and the afternoon tea, served at the L’Orangerie, rivals that of the best British hotels. Discover magnificent architecture and decoration with European elegance. Have a dinner at La Bourgogne and try Jean Paul Bondoux's remarkable cuisine. One garment or one suit, per guest in the room, pressed upon arrival. A splendid hotel, very similar to Parisian palaces. Traditional hotel localized in a agreeable and calm part of the city with beautiful decoration. The food quality was worse than expected. For example, for the breakfast , the medialuna was very cold and the scrambled eggs were also cold. Potatoes were also cold and hard.